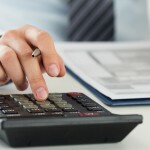 Bookkeeper or Accountant: Does Your Business Need One or the Other? Taking care of a business is not just all about managing the operations well. Crucial to any business success is good financial management to ensure a healthy inflow and outflow of revenue and costs.